Please Note: The Alarm.com ADC-VDB102 video doorbell is on backorder from the manufacturer. The Alarm.com ADC-VDB102 is a bronze color, HD edition, circular, video doorbell camera. The ADC-VDB102 doorbell contains a built-in integrated camera, PIR motion sensor, digital microphone and speaker. With the ADC-VDB102 installed do-it-yourselfer's will always know who is at the front door of their home. The ADC-VDB102 enables homeowners the ability to answer the door and speak to visitors via two-way audo, right from their Alarm.com app. Greater Control Through a Single App: Unlock the door right from the app when you receive a doorbell notification. On-Demand Video & Recorded Clips: Check live view video feed from the app, or record clips automatically when the doorbell is pressed or motion is detected. Two-Way Audio: Have a two-way conversation with visitors from a mobile device. Motion Sensor: Get alerts when a visitor is in front of the door, even if they don't press the doorbell. Night Vision: Feel safer knowing visitors can be seen even at night. Silent Mode: Remotely turn off the indoor chime when someone is asleep in the house. Receive notifications on a mobile device instead of hearing the chime. Intelligent Lighting Integration: Set up rules to automatically turn on the porch lights when motion is detected at night. Power Requirements: 8-36VAC, 10VA or 12VDC, 0.5 to 1.0A wired to in-home mechanical chime. 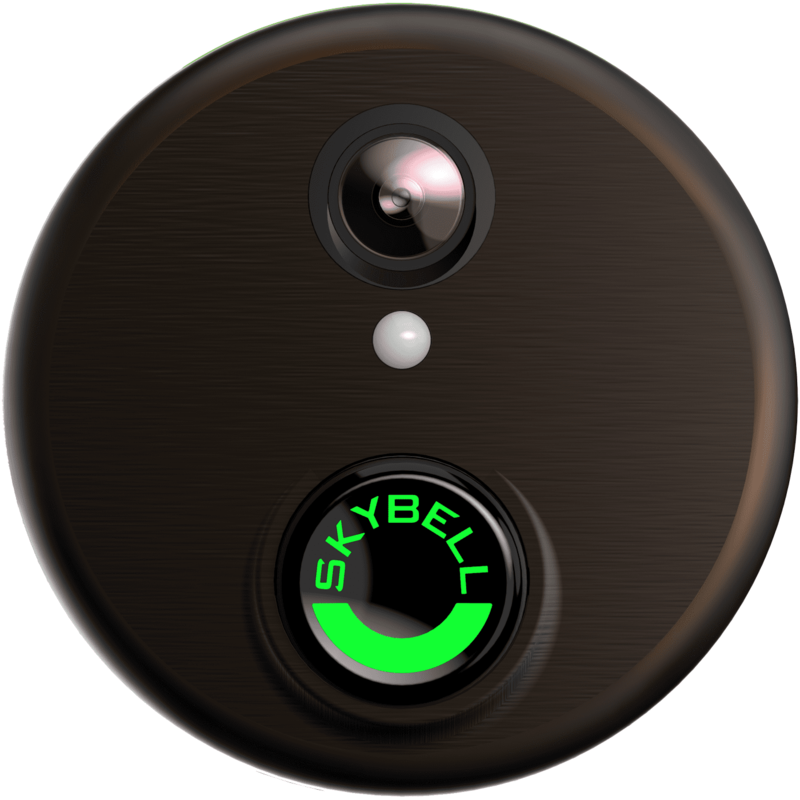 Digital doorbell chime compatibility requires SkyBell Digital Doorbell Adapter - not included. Wi-Fi Requirements: Compatible with Wi-Fi 802.11 b/g/n, 2.4 GHz up to 150 Mbps.